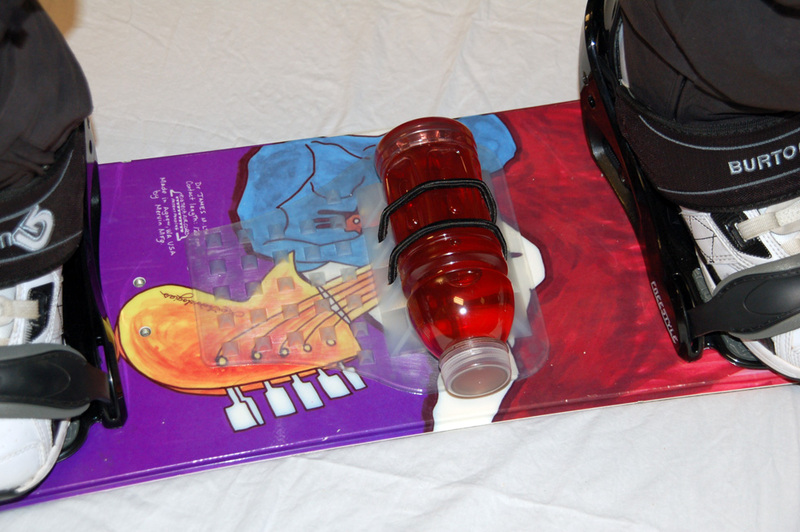 Snowboarding Bottle and Drink Holder :: ChompPad "Original" with Stomp Pad and "Grip"
The ChompPad "Original" is the worlds only on-board snowboard bottle holder. 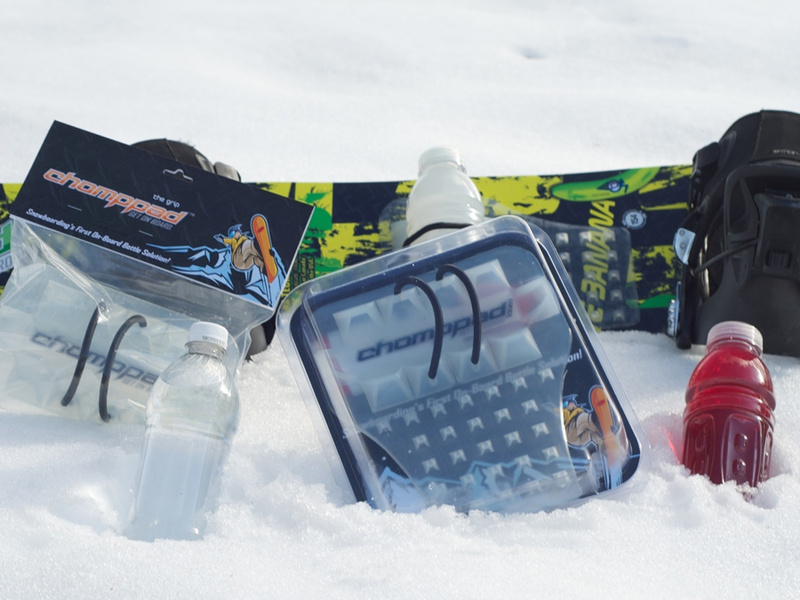 It will fit just about any water bottle or sports drink so you can stay hydrated all day on the slopes. 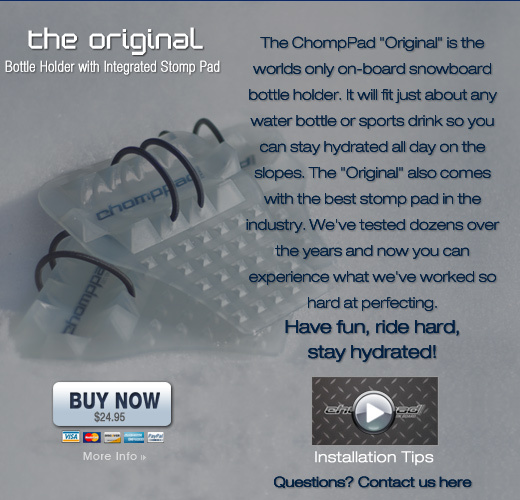 The "Original" also comes with the best stomp pad in the industry. 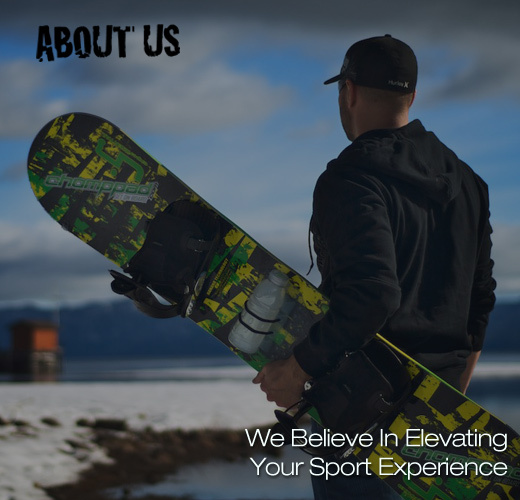 We've tested dozens over the years and now you can experience what we've worked so hard at perfecting.Have fun, ride hard, stay hydrated! 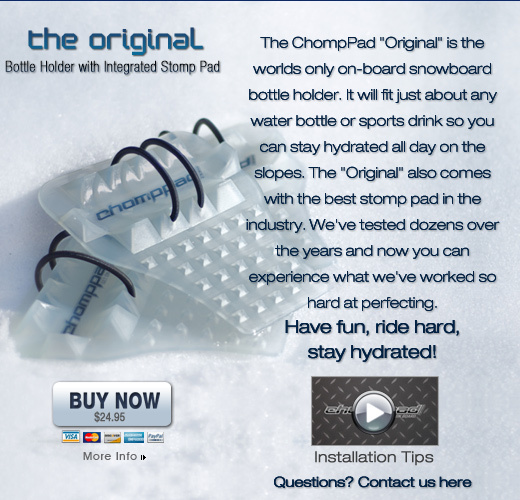 The ChompPad "Grip" utilizes the same patent-pending design as the "Original" on-board snowboard bottle holder. 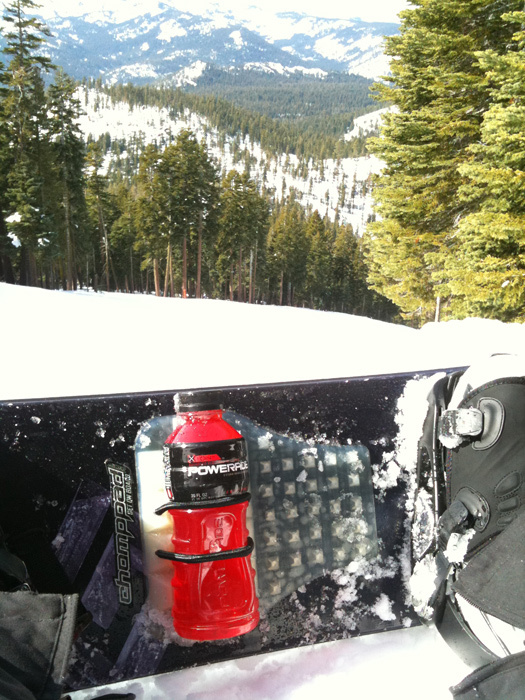 It will also fit just about any water bottle or sports drink so you can stay hydrated all day on the slopes. 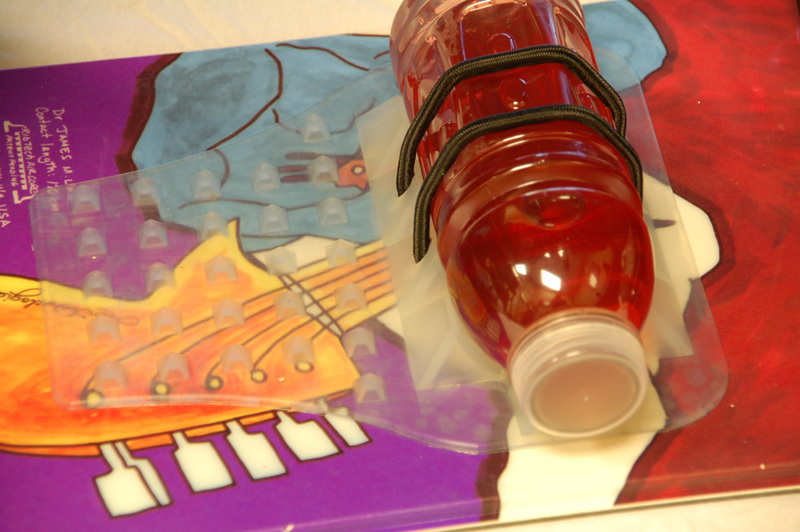 The "Grip" allows you to keep your current stomp pad or go without one. 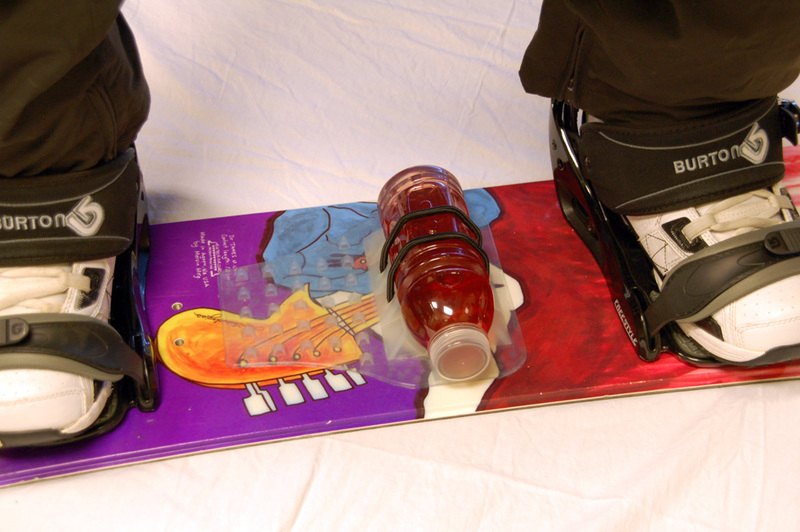 However you'll never go without your drink on the slopes. 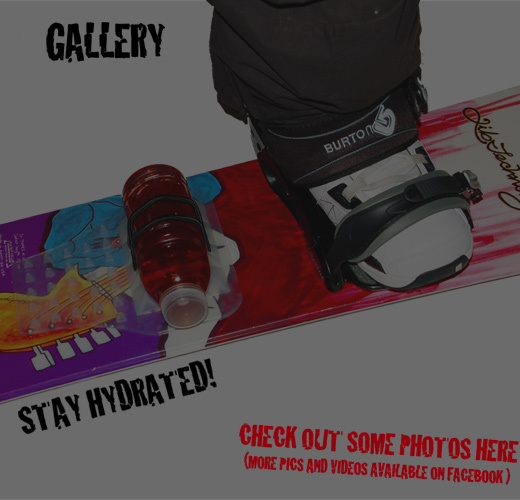 Have fun, ride hard, stay hydrated! 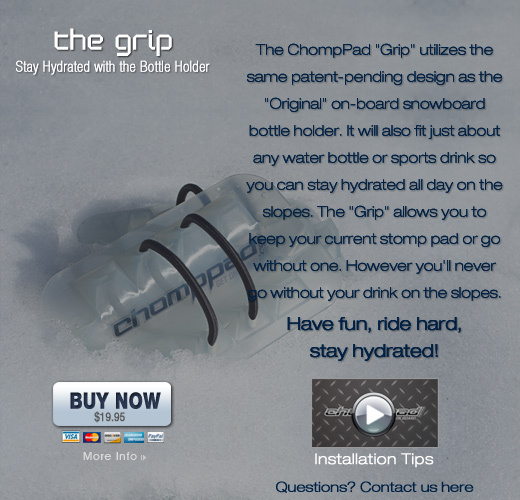 The ChompPad was concept was conceived by three friends out snowboarding, who were faced with the dilemma of what to do with their water bottle in between runs down the mountain. 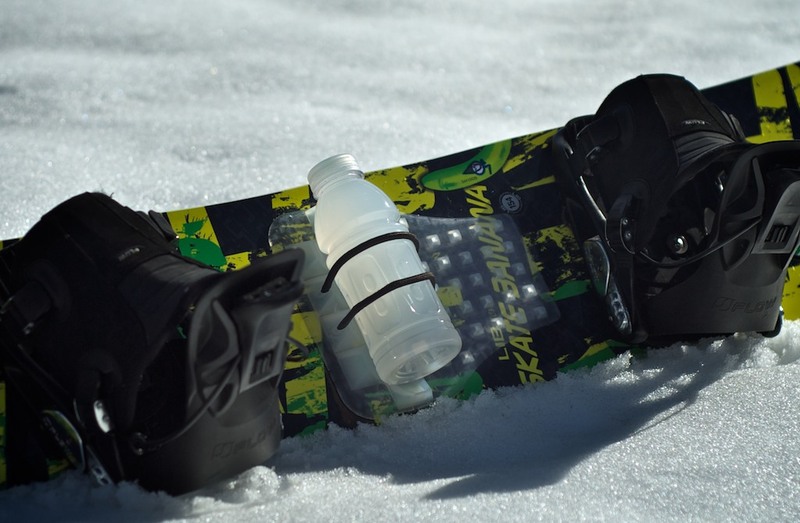 Hydration “backpacks” were expensive, cumbersome and bulky, and stuffing a water bottle into a pant or coat pocket was inconvenient and uncomfortable. 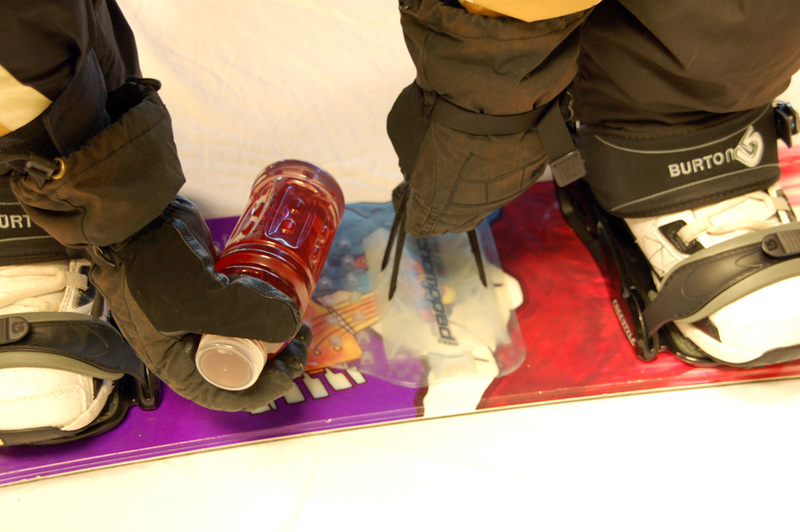 Often, half finished hydration bottles were being thrown away at the lodge or in the lift line because the riders simply had nowhere to store their fluids. 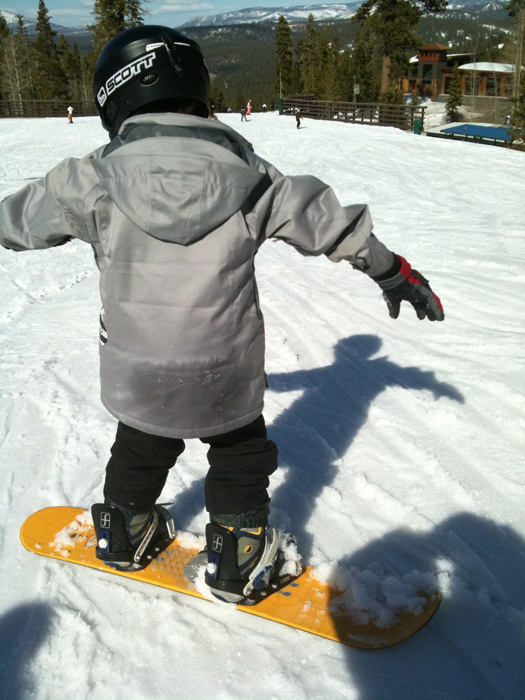 All three friends agreed, there must be a better way. 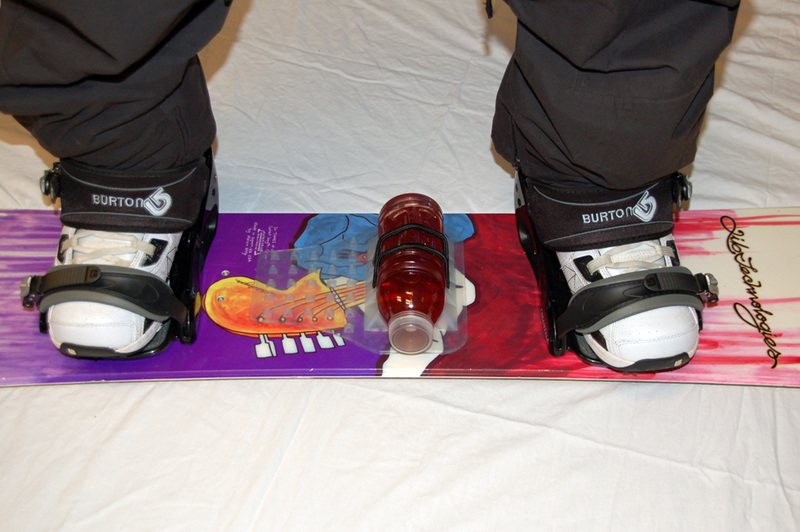 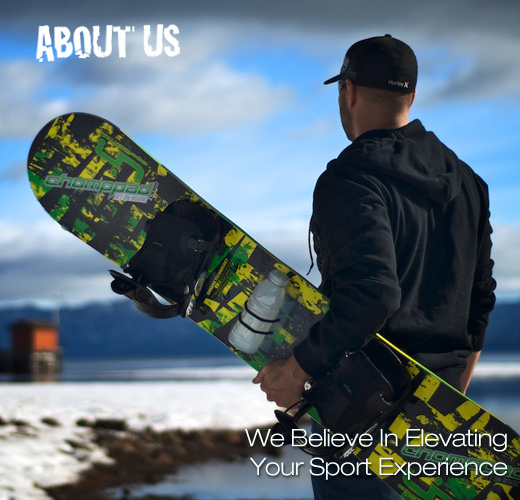 The idea arose to affix the hydration bottle directly to the snowboard, thereby eliminating the need for a cumbersome backpack, while still allowing the riders easy access to their drink throughout the day. 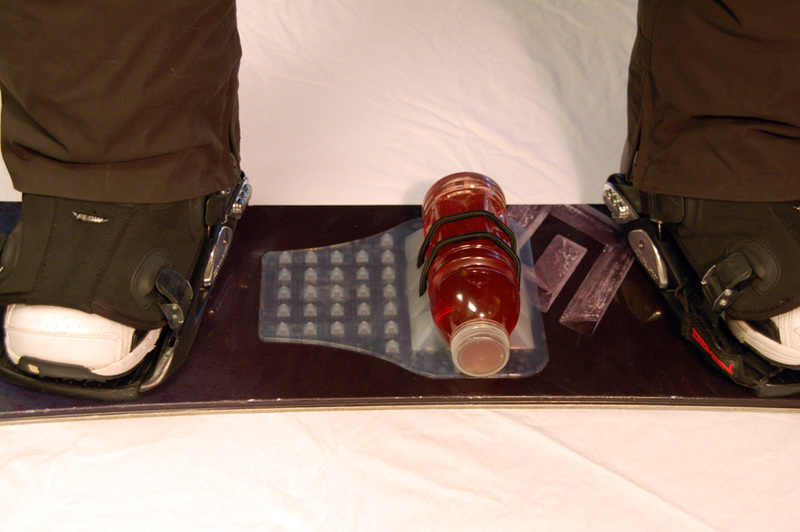 Hence, the ChompPad was born!Now, you can easily access your drink while shredding the slopes. It’s so easy to install, all you do is peel and stick to your board (make sure it is warm for best adhesion) and you’re off and running! 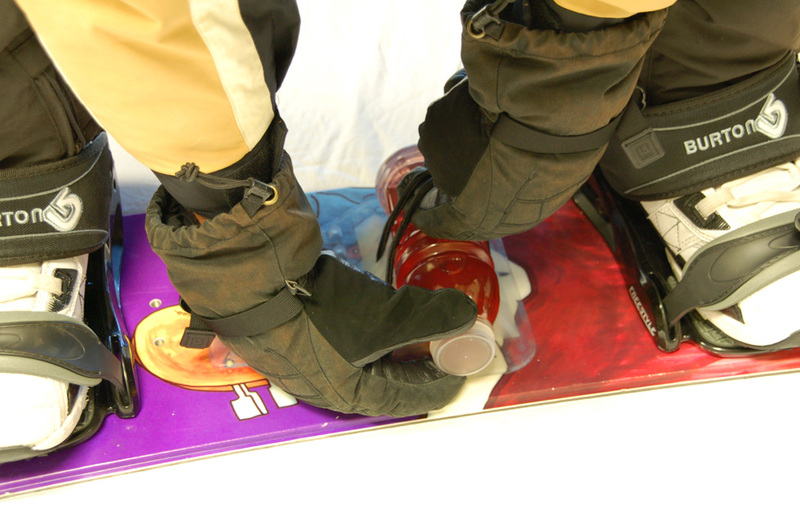 Oh by the way, did we mention that this is also one of the best stomp pads in the industry? 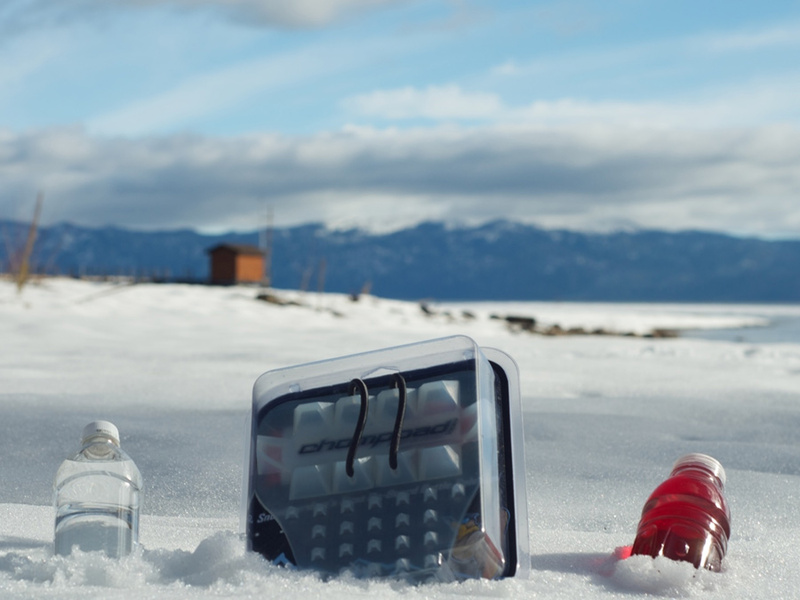 Gone are the days of having to head back to the lodge in order to re-hydrate, or deciding where to hold your drink while you’re on the slopes. 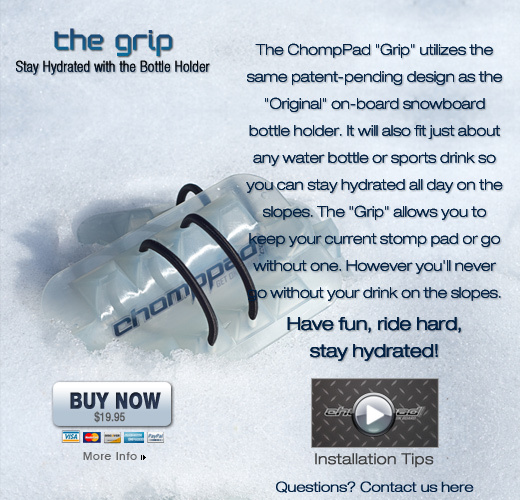 With the ChompPad on board, you will stay hydrated all day and can spend more of your time shredding the mountain! 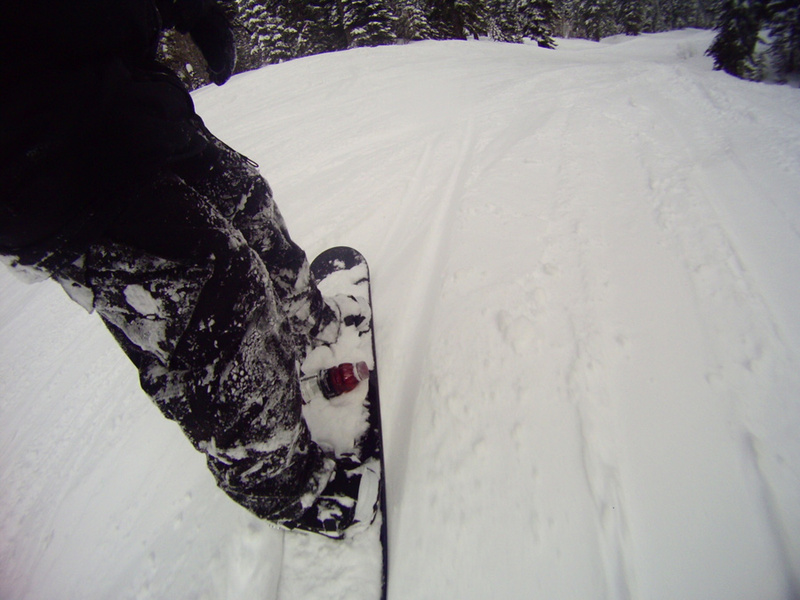 ChompPad. 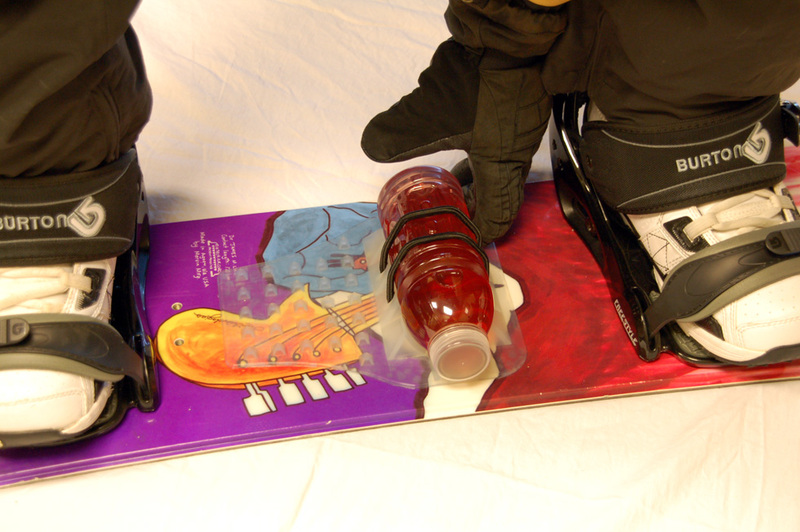 Snowboarding’s revolutionary new on-board bottle retention system.